Tiger Barb, also known as the Sumatra Barb, is a hardy and active schooling fish with stunning coloration and distinct personalities that are recommended for the more advanced beginning aquarists. 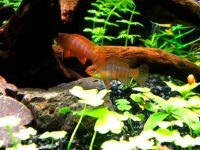 Because of the deep body of the fish, they offers a great view when enjoying them from the aquarium sides that makes Tiger Barbs an ideal fish for aquascaping. 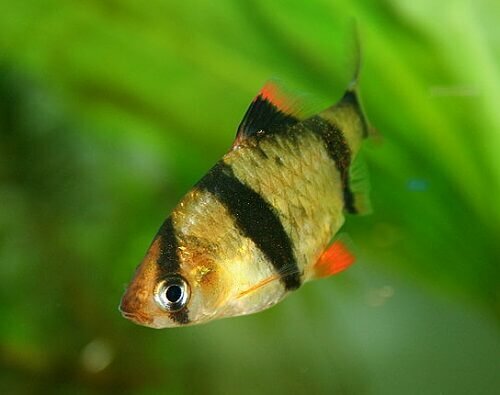 How to care of Tiger Barbs? Part of the subfamily named Cyprinidae, this fresh water fish is native to South-East Asia. 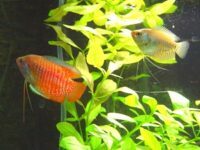 Their bright colors, group like behavior and the fact that they are easy to maintenance and reproduce have made them a popular fish among aquarium keepers and enthusiasts. 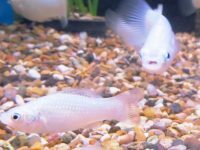 Over 70 species of Tiger Barb are currently marketed worldwide, they come in several color variations ranging from green to albino. The most common Tiger Barbs have four blue-black stripes that run across the body. 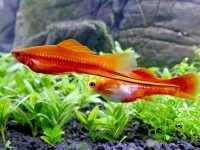 Their fins are a bright reddish orange or red color and their bodies are a light gold. 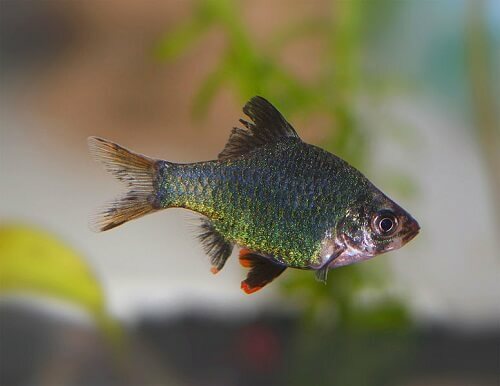 Green Tiger Barb is primarily a deep green with splashes of silver/gold and orange coloring on the fins. A well planted tank with plenty of swimming space and slightly acidic soft water is ideal. Tiger Barbs are able to handle a variety of water conditions, although they do better in soft water. Since they’re a very active fish, wide open areas are needed for swimming. Lots of plants, a fine substrate and adequate LED aquarium lighting is also important. The introduction of these fish in the community tank can be risky. Tiger Barbs are very active and energetic fish; they have a bad reputation for pinching the fins of larger, slower moving fish. This behavior is most often attributed to the fact that you don’t have enough Barbs in your aquarium. Having many Tigers in the same tank will often curb and even stop their appetite for fins! Considering their relative aggressive nature, could be a good idea to think twice before you add them in your community tank. 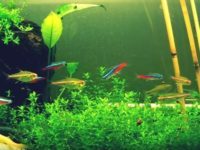 The best tank mates for Tiger Barbs are Neon Tetras and other Tetras, Gouramis, sharks, catfish, and other Barbs. 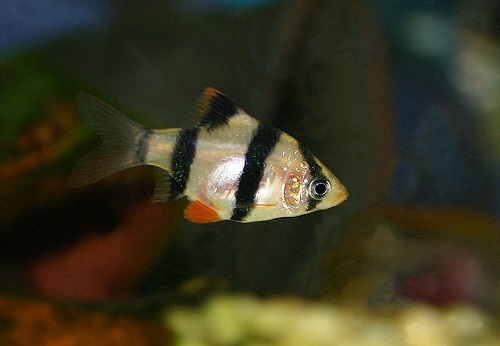 Clown Loaches have been known to school with Tiger Barbs as well. 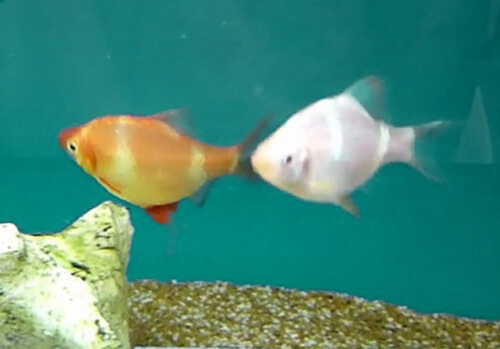 Extremely territorial and aggressive fish (such as African and New World Cichlids) are not recommended as tankmates. 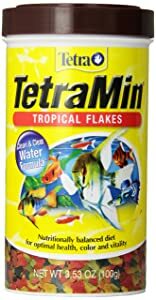 Tiger Barbs can be given almost any types of fish foods such as flakes, bloodworms, plankton and brine shrimp. Feeding should be done twice daily, but for faster growth rates feeding can be increased to three times each day. However, Tiger Barbs are very ravenous eaters and will consume everything that you feed them, so be careful to not overfeed or they will die. Tiger barbs usually reach sexual maturity at a body length of 20-30 mm in total about 6-7 week after birth. Males display a bright red coloration on the wings and nose, while the females tend to be more round in the abdominal area and less colorful. The proper tank setup for breeding is to either have a very fine layer of substrate on the tank bottom or none at all. There should be large, leafy plants for spawning. The female lays the eggs stick on objects in the bottom of the breeding tank and the male produces sperms to fertilize the eggs, two activities happen at the same time. The parents will eat their fry and should be removed after the spawning. The eggs hatch in 2-3 days at the temperature of 28-30 oC. After hatching for 2-3 days, the fry begin to eat foods from the external environment. Feeding the fry with daphnia, egg yolk, brine shrimp (live or frozen)… You should feed the fry just enough to avoid causing dirty water and the fish death. After a time, caring the fry as their parents. 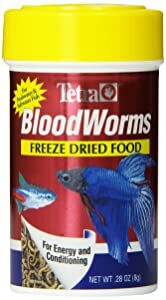 When they reach a size that isn’t fit to the mouth of any fish in your aquarium, bring them to the new home where they can see their parents. My Tiger Bard did pretty well with other population. even mated with other female fish then he got aggressive. but the more in population he is well. waiting to see if the eggs are his are someone for the other fish.